Meals at The Terraces of Phoenix are an event, nourishment for the body and the spirit. Dining at The Terraces is a delicious, healthy, social and relaxing experience. Choose from diverse and ever-changing menus in our beautiful dining room or newly added bistro. Our executive chef and talented culinary team use the freshest ingredients to create healthy, tasty dishes. And our flexible MyChoice dining program lets you choose when, where and what you eat. You use your dining points as you see fit. Need a change? We’re a short distance from both Phoenix’s dining scene and the restaurants of Scottsdale. 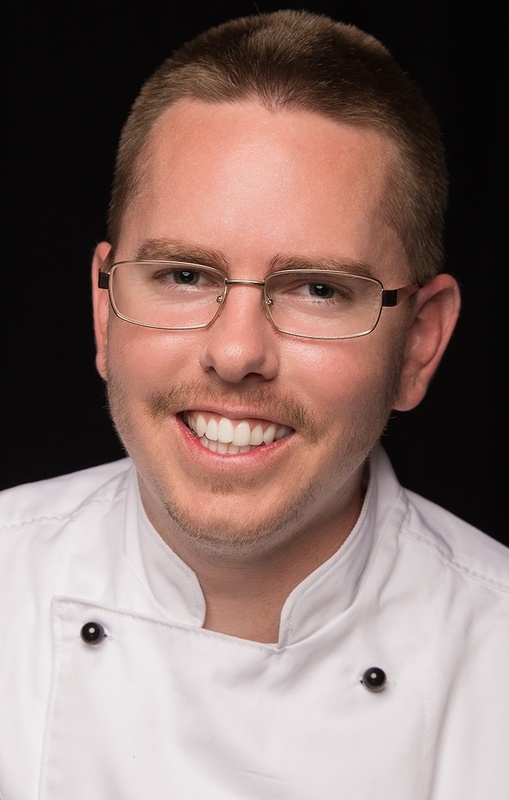 Chef Jordan has been with The Terraces of Phoenix since February 2017. He previously worked at Atria Sierra Point in Phoenix. He received his culinary degree from Le Cordon Bleu Culinary Institute in Scottsdale. Q: What do you enjoy most about working at the Terraces? A: I immediately fell in love interacting with our residents. I also really enjoy catering and cooking for the residents, whether it is small intimate dinners or grand ballroom events. Q: How do you describe your cooking style? A: My cooking style is very clean and refreshing. I put a fresh flare with an extensive amount of experience in all the cuisines I execute, including Mediterranean, Asian, Italian, American and Southwestern. Q: What’s your favorite dish on the menu? A: I have to say my favorite dishes on the menu would be the rosemary rack of lamb or Montreal-seasoned rib eye steak. A: My favorite dish to cook at home is pan-seared sea bass with a carrot coulis and quinoa. Q: What’s a tip or a technique you use in the kitchen that people may not know about? A: When seasoning food, you always season with your hand up high to give it a shower effect so it perfectly coats all surface areas for whatever you’re preparing. See how delicious life at The Terraces can be. Call (800) 836-4281 to schedule lunch.